Michael Chen, the newest alternate member to the Board of Finance. Picture taken on Jan. 30, 2018 in New Canaan. 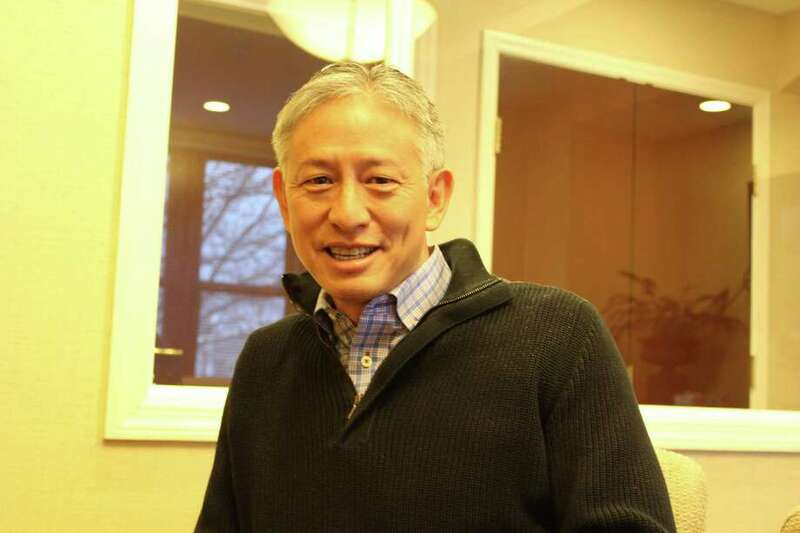 NEW CANAAN — Michael Chen, 55, has an extensive finance background but as the newest alternate member of the board of finance, this will be his first foray into politics. The board of selectmen unanimously approved Chen’s appointment on Jan. 25. With the budget season underway, Chen is not slated to start until March 9 after the budget development has concluded. An unaffiliated voter, Chen believes that partisanship can sometimes be an obstacle between individuals. “I don’t like the partisanship of politics. I have friends on both sides and when you tell someone you’re from one party or the other, people can’t figure you out not to mention the pressure to vote along party lines. I want to vote for what I think is right,” Chen said. Chen also emphasized fiscal responsibility. Originally from New York City and a New Canaan resident since 1992, Chen holds an electrical engineering degree from the University of Rochester though he never spent a day working as an engineer, opting instead to go to Johnson School at Cornell University for his Master’s degree in Finance. “My father was an engineer and my role model but I didn’t consider finance or business until my junior year of college though I finished out college as an engineering student,” Chen said. As a financial analyst for IBM from 1985 to 1994, Chen obtained experience in budget works and analysis. He left for GE in 1994 where he worked in the company’s Capital Aviation Services for several years, including during the early years of the Great Recession. Chen’s parents immigrated to the United States in the 1950s and it wasn’t until the 2008 Olympics in Beijing that he visited his parents’ country with NBC as a member of that company’s Universal Leadership Council. In addition to his role as General Partner and CEO of his firm, Chen & Associates, the New Canaan resident recently became Vice Chairman at Grace Farms Foundation and also serves as Chairman of the CEO Forum Company, an advisory services firm that specializes on media and financial services.